St. James Cemetery and Crematorium is part of The Cathedral Church of St. James and is the oldest operating cemetery in Toronto having opened in 1844. The cemetery is home to a beautiful church-like chapel that is a perfect location for funerals and memorial services. The chapel provides seating for 200 people but isn’t so big that a smaller service can’t be held very comfortably. St. John’s Norway is a non-denominational cemetery has been serving the communities of Toronto since 1853. 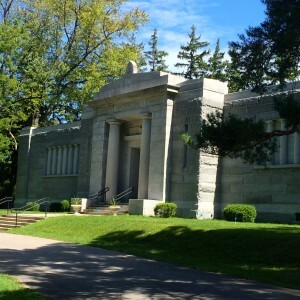 As one of the oldest cemeteries in Toronto, St. John’s ensured its ability to continue to serve Toronto in 1998 by adding a chapel and crematorium. The Cataraqui Cemetery is the primary burial ground of Kingston and provided all kinds of services in order to ensure that families keep a peace of mind while utilizing their services. Located between Carleton Place and Ashton Ontario, United Cemeteries is a beautifully established cemetery. The professional staff are experienced and accommodating. The expertly maintained grounds are serene and mature, providing a comforting and welcome environment. This beautiful, elegant building located in Westboro Village houses a peaceful chapel, comfortable visitation rooms, and a welcoming reception center for post-funeral gatherings. Complimentary parking is available for families in our care. As a full service cemetery, Williamsburg Cemetery provides both traditional and cremation burial options, and an onsite crematorium. The Dedication Centre at Williamsburg provides a well appointed and convenient location for hosting memorial services and for witnessing cremation. Our courteous and professional staff are here to assist and support you with arrangements for pre-planning or when you have experienced a loss. Built in the 1920s the Woodland Mausoleum and Ascension Committal Chapel is constructed from Italian Carrera Marble in an Art Deco style with indoor glass front cremation niches. The chapel is heated, wheelchair accessible, and has seating for 75 people.